3 Important Days In My Life 1. The day I was born. 2. The day you were born. 3. 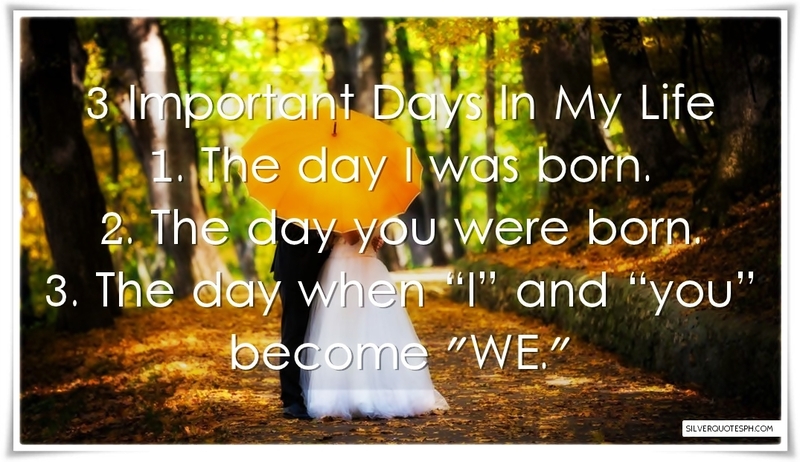 The day when “I” and “you” become "WE."